The War Thunder open beta is in full swing, and today players will be able to bask in the warm glow of Ground Forces as update 1.41 goes live. Officially billed as the Ground Forces Expansion (can you have an expansion to a game that technically hasn't even launched yet?) 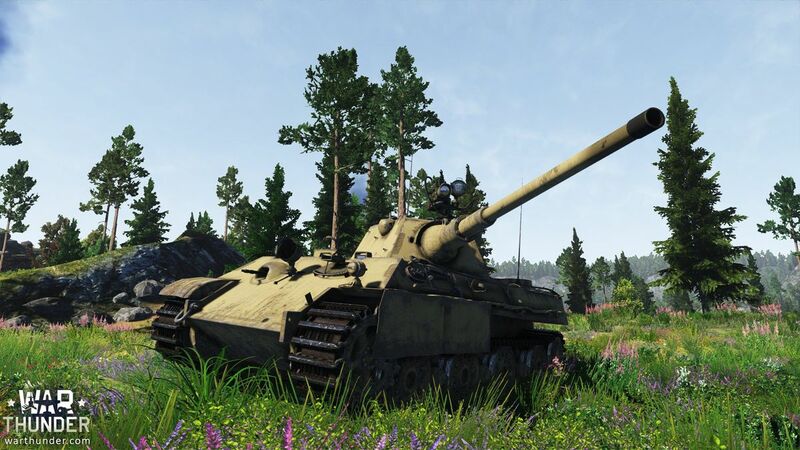 this update adds a hefty dose of new gameplay for War Thunder players to chew on. "Ground Forces Expansion joins the ranks of War Thunder, allowing players to now create their own military force made up of aircrafts as well as tanks. With improved player progression, fans can build their arsenal to match their style of play, whether that be with lightning quick strike abilities or with earth rattling shock and awe! Players can now decide how best to build up and unleash their military might upon others in War Thunder’s ever-growing next generation experience. Currently, players can access Soviet and German vehicles in Ground Forces with other nations rolling out later. There are dozens of light, medium and heavy tanks, as well as self-propelled artillery and anti-air guns. The latter will become useful in Combined Arms battles, available in Realistic and Simulation game modes where player-controlled ground vehicles are fighting alongside player-controlled planes (and AI-allies in some cases). Combined Arms will be enabled later once enough players reach high levels with their ground forces, but anyone can try this mode in Custom Battles already." Ground Forces is hitting the PC version of War Thunder today, and the release date for the PS4 version will be announced soon. We'll be checking in with the folks from War Thunder as our own ground troops invade the sunny shores of E3 next month. If you've got any burning questions or parts of the game that you'd love to learn more about, drop a comment and we'll be sure to load them into our question guns at E3. To read the latest guides, news, and features you can visit our War Thunder Game Page.